The threat of a resolution against Sri Lanka in March in Geneva, the speech by Canada’s Foreign Minister at the UNGA, the lobbying within the Commonwealth, the statement by the UK Labour Party’s Shadow Foreign Secretary, the remarks of the Swiss Federal Attorney General on Gen. Dias, the legal moves in the US and Europe against Lankan soldier-diplomats and in the EU arena to legalise the LTTE, are the spearheads of a multipronged strategic offensive. 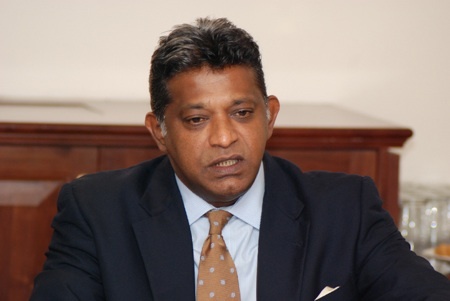 While the Sri Lankan media reflects the domestic disagreements on the international policy and diplomatic stance that should be adopted, we may surely agree that what is required is an approach that is, above all else, effective in defending Sri Lanka’s national interest in a hostile climate. But how does one identify “effective diplomacy” and who is to do so credibly and authoritatively? Wikileaks revelations of confidential cable traffic to Washington DC, throw a spotlight on a moment when the US, and in one case France, regarded Sri Lanka as following “an effective” and even “a very effective diplomatic approach”, in challenging conditions. Though Sri Lankan newspapers have already published the Wikileaks cable disclosing that in April 2009 the UK Foreign Secretary David Miliband spent 60% of his time on Sri Lanka due to the “very vocal Tamil Diaspora in the UK”, what was unknown is that US Secretary of State instructed its Mission in Geneva to throw its weight behind the move on Sri Lanka at the UN HRC Special Sessions in 2009. Those were the odds then; that was the combination that Sri Lanka was up against in May 2009. We entered the battle with an added disadvantage: we were no longer a member state of the UN HRC. Nominated by the Asian Group, I had been a Vice President of the Council in 2007-8, but we had lost the election held in the UNGA New York by 2009, a venue I was not allowed to attend as PRUN-Geneva, by the edict of the then Foreign Minister, which reversed a norm. As early as September 2007, just two months after I had taken over as Ambassador/PRUN, the Western Group led by the UK was revising and reactivating a resolution that had been hanging over Sri Lanka in the previous year, 2006 – a danger and challenge which I had inherited. 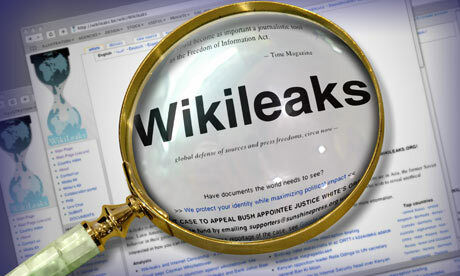 A Wikileaks cable registers the US concern at our strategy of a high visibility, assertively principled stance, actively building the broadest possible coalitions, issue-based and longer term, as well as holding seminar-type events on the HRC sidelines, fielding academics, professionals and officials of moderate, pluralist views. In the face of this hyperactivity, our Geneva Mission adopted methods and tactics that eventually defeated the efforts of its adversaries. In May 2009, the EU finally managed to present the resolution that it had been nursing for so long, in the wake of a failed effort to table it before the end of Sri Lanka’s victorious war against the LTTE. Anticipating this move, we, together with a broad bloc of allies (NAM plus BRICS), had already prepared a counter resolution which was tabled and adopted by the now well-known majority vote of 29-12. A considerably important cable conveys the assessment made to Susan Rice, Cabinet-ranked US Ambassador/Permanent Representative in the Security Council, by Human Rights High Commissioner Navi Pillay, on the results of the Special Session on Sri Lanka. The assessment was that “Sri Lanka and its allies…simply outmanoeuvred the EU”. 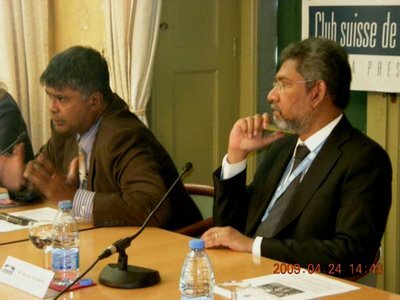 The very fact that Sri Lanka figured prominently in a discussion that the US Ambassador-at-large for War Crimes Issues had with the Official Representative for International Penal Tribunals of a Western ally, fellow Permanent member of the UN Security Council and NATO member, is an incontrovertible indication of the high stakes in Geneva at the Special Session in May 2009, and what would have followed had we not prevailed in that battle. The Wikileaks treasure trove also shows that in 2009, veto wielding powers Russia and China (supported by non-Permanent member, Vietnam) determinedly protected Sri Lanka at the UN Security Council against pressure by the Western Permanent members, with legendary Foreign Minister Sergei Lavrov being especially articulate in our defence. The innermost secret of our “very effective diplomatic approach” in Geneva 2007-9 was intellectual and existential. The representation of Sri Lanka was refashioned; the new discourse was one that “resonated strongly” among a great majority of UNHRC member states (as the US Mission informed the State Dept) enabling us to “outmanoeuvre” ( Navi Pillay) our challengers. History has recorded it as a (singular) success in these years, but History will also judge whether it was a vanguard experiment or merely an anomaly or exception. It is not prudent to assume that time, demography and world opinion are on Sri Lanka’s side. Sri Lanka needs to look at the big picture and wrestle with the large questions: How do we look to the world? How have we projected ourselves? What is our profile? Who are we? What have we become? What must we become? What is our way of being in the world? After three decades of war, have we caught up with the rest of Asia? Have we caught up with the 21st century? Does our discourse “resonate strongly”, broadly and widely enough? All this requires thinking and clarity.